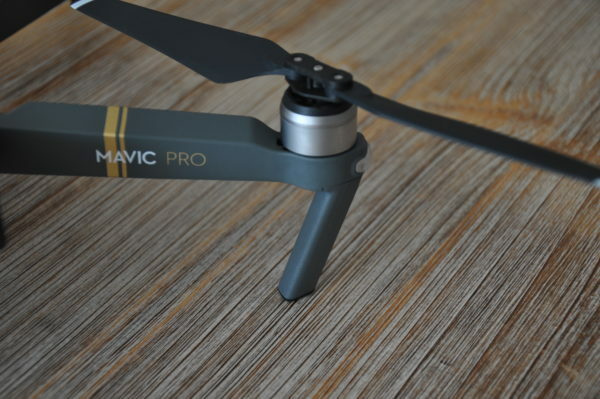 Mavic Pro is the newest DJI high-tech drone, which was presented few days ago in New York. 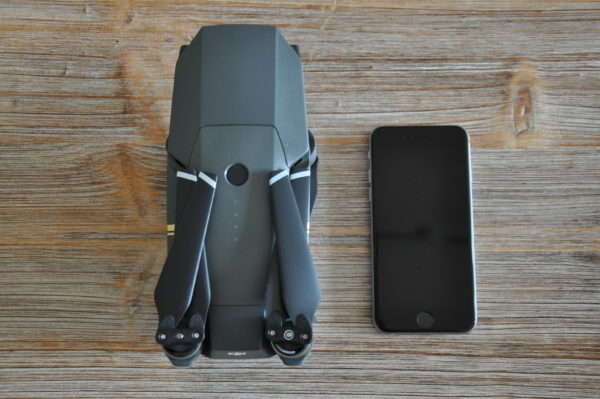 It is small, foldable and features the latest drone technology. I am going through all the new features and will share my flight experience with the Mavic Pro. I will briefly discuss and compare it to the Phantom 4. 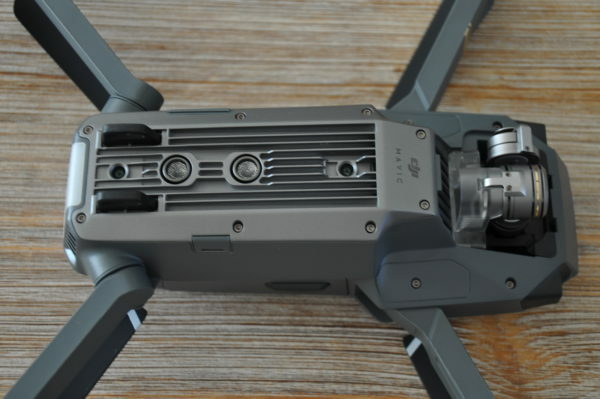 The Mavic Pro has a completely new design compared to the Phantom series quadcopters. It is much smaller, foldable and the camera is on the front of the aircraft. You dont have that glossy effect like on a Phantom 4, but the Mavic Pro feels much more solid. Folding and unfolding the arms is super easy and can be done in less than 10 seconds. 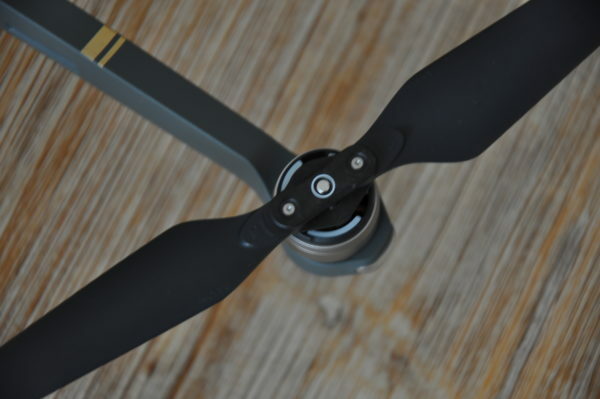 Just like its industrial M600 hexacopter, the new DJI drone features foldable propellers, so you dont need to attach/remove these for/after every flight. If you for some reason break a propeller, replacing is child’s play. The Mavic Pro features a quick release propeller system, just like the Phantom 4. I very much like the bottom part of the new quadcopter, which looks and acts like a heat sink. There are tiny holes in the front, behind the gimbal, and in the rear of the drone to ensure good heat dissipation. Unlike the Phantom series copters, the Mavic Pro has LEDs only on the front arms and one big LED on the rear part of the drone. Personally I find it a way better and I dont need to think anymore, which color (red or green) is indicating the front of the aircraft. It´s awesome! 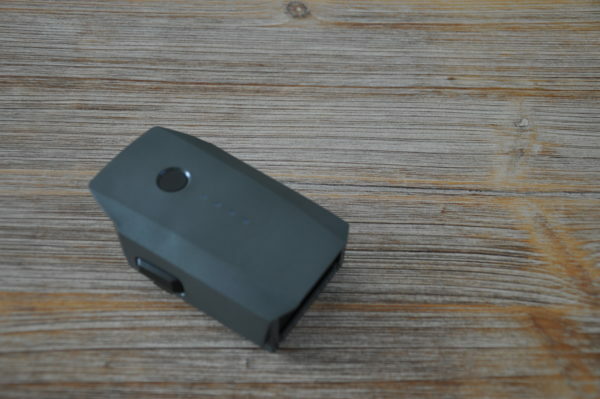 It´s small, light, easy to use and feels great in the hand. The new remote controller has build-in display for the telemetry data from the drone. 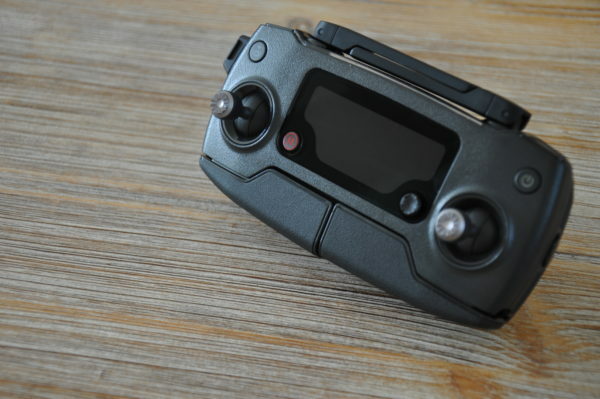 It´s useful in case you are using the remote controller without your smartphone, so you know the status of the aircraft, GPS signal or battery percentage. The new remote controller has all the buttons, that the Phantom 4 remote controller has, plus one additional. You can adjust the actions for that one using the DJI Go app. Using the button on the right side you can easily switch between normal and sport mode. There is a 2970mAh battery build in the remote controller, which can be charged through the microUSB port on the left side just with a regular phone charger. If you use the supplied stock charger (with a 2A USB port), you can speed up the charging process. The best part: thanks to the new OcuSync transmission system you can operate your Mavic Pro and have live feed on your phone for up to 7km. 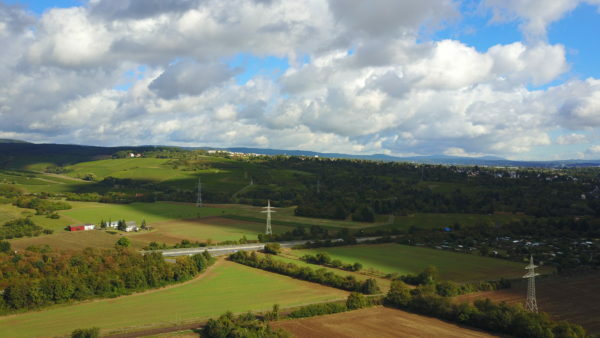 At first I couldn´t believe this is real, because I am using drones for more than 4 years and have never experienced such transmission range. At least not within the legally allowed transmission power. So far I haven´t tested the maximum transmission distance, because here in Germany it is legally allowed to fly only in line of sight. The Mavic Pro features a 3-axis-gimbal and comes with a 12MP camera, just like the Phantom 4, so you can create shake-free photos and videos. 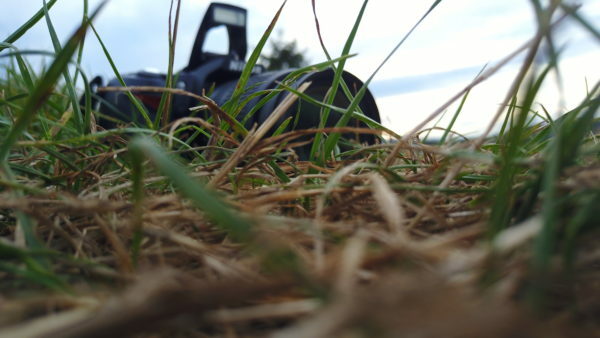 The minimum focus distance is 0.5m and the camera has a 78.8° field of view (FOV). You can also rotate the camera at 90° for portrait photos. 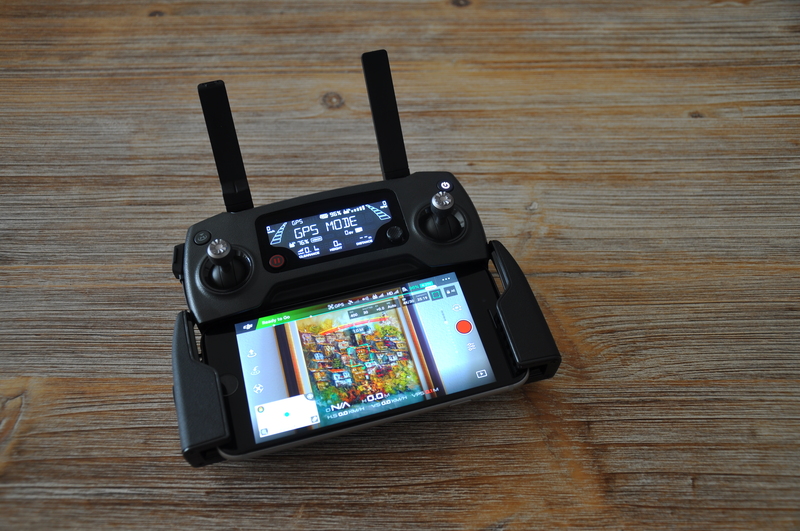 You can record 4K videos at 30fps, which is great for a so small and portable drone. Unlike the Phantom 4, recording at full HD is only possible at maximum of 96fps (Phantom 4 at 120fps). In terms of image quality, the camera is comparable to that of the Phantom 4. Attached you can find some still images made with the Mavic Pro. 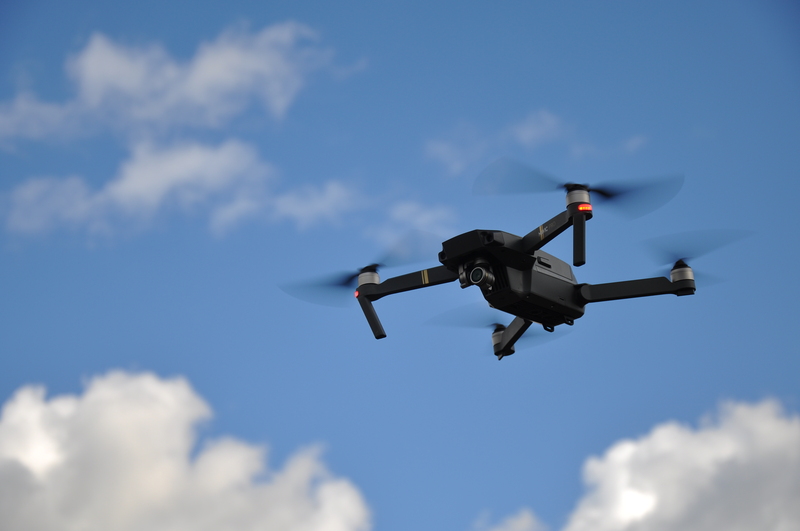 The Mavic Pro features the latest drone technology and thanks to its vision systems can avoid obstacles and land super precisely. I have tested the obstacle avoidance multiple times and it worked impeccable. This feature is extremely helpful for beginners or pilots with less flight experience. Please note that the obstacle avoidance won´t work in “sport mode”. On the downside there are additional two vision sensors as well as an ultrasonic sensor. According to DJI the new precision landing feature records a video of the surface while taking off and uses that video later for landing. I only tested the feature once and the Mavic Pro landed exactly there, where it took off. 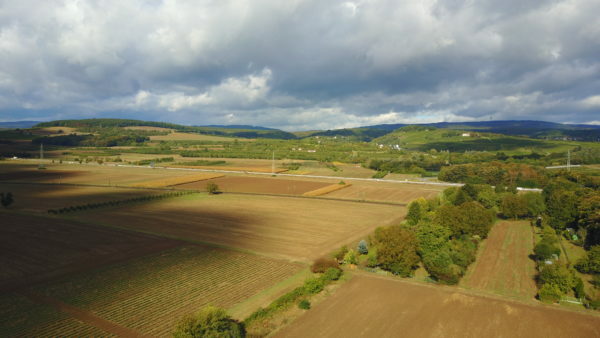 Applause for the DJI´s R&D team! Performance in the air is great. The drone is super stable, even by strong winds. Personally I found it more stable than the Phantom 4. The flat design of the Mavic Pro definitely helps for that. Personally I am not a big fan of the intelligent flight modes, because I love to control the drone with the sticks. I barely used these modes on the Phantom 4, but I decided to give them a try on the Mavic Pro. I found useful and easy to use the “Follow Me Mode”, “ActiveTrack” and “Point of Interest”. 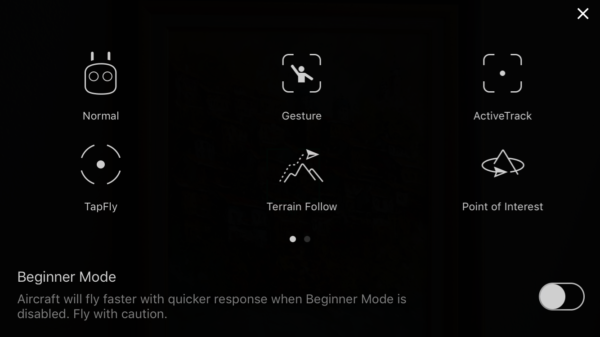 If you like biking or skiing, the “follow me mode” would be great combined with the vision sensors, so you don´t need to worry about crashing the drone. “Point of Interest” is working great, so you can easily orbit buildings, trees or other big objects. If you want to have that shot on a person or near object just use the “ActiveTrack” and your remote controller sticks. What I like the most, is the new “Gesture” mode. It works like a charm and is the single best mode for dronies! You will love that feature! This new feature allows you to operate the Mavic Pro just with your smartphone. You just need to turn the switch (located on the right side of the drone) from “RC” to “WiFi”. 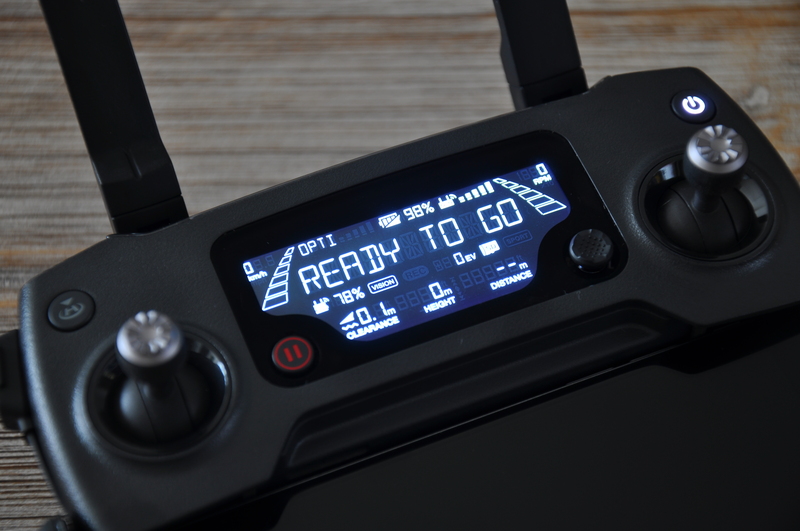 Then connect to the WiFi network created by the Mavic Pro and start the DJI Go app. Once you touch the screen of your phone, you will see the virtual sticks on the display. It works amazingly good, but I still prefer the precise control of the remote controller. Of course you will not get that great 7km transmission range. I personally achieved about 50-60m before losing signal to the smartphone. I guess you will get a bit more range with a tablet, because of the stronger WiFi signal. You also can access all intelligent flight modes while operating the Mavic Pro with your phone. So it is super easy to take off, enable “Gesture Mode” and make a photo of you and your friends. I achieved 20min flight time with constantly flying in sport mode with more than 50km/h. It is a lot for that flight speed! I am pretty sure with just hovering or normal flying I will achieve the 27min flight time. I personally like that on the DJI Go App you see the averaged voltage of all 3 cells and not the total voltage of the battery. So now you easily know when the battery is almost empty (below 3.5V). The battery was charged from 15% to 100% for about an hour. It is absolutely normal, considering the output power of the charger (3830mA). But more importantly it is the safest way for the battery and will not shorten its life. 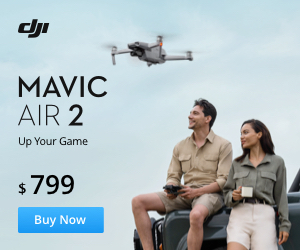 You can pre-order the Mavic Pro in the USA for 999$ and 1.199€ in Europe. You get the aircraft, the remote controller, one extra pair of propellers, 16GB memory card, charger and all the needed cables. The Mavic Pro is my new favorite camera drone. It has all the features that I love on the Phantom 4, in a smaller package. 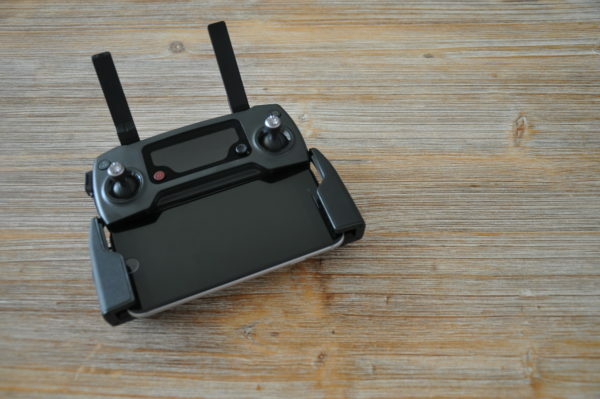 It is portable, light, stable in the air and easy to fly. The flight time is great and you can even take more of the small batteries when you travel. I like the Gesture Mode and I am sure you will like it too. So far I think it will be the most successful DJI drone ever and for sure best drone of 2016. Pre-order it now on the DJI website, so you can get it once it is available in the mid October. Thanks for reading! Hope you enjoyed my DJI Mavic Pro review. Like the facebook page so you won’t miss new reviews, comparisons or other interesting articles. Good review. Break is spelled “break” not “brake”.